LegolasBet casino is a new and exciting casino and sports betting site that tries to challenge the status quo on the market. As the team behind the casino states on its website, their dynamic and modern platform is constantly improved, offering players an experience like no other. Legolas Bet’s team is focused on challenging themselves and players every day in order to refine the gaming experience as much as possible. Established in 2018, Legolas offers a loaded game library running on NetEnt’s platform. You can expect all the latest and greatest hits from the industry-leading game studio. The list of games includes dozens of exciting slots as well as jackpots, table games, and even live dealer games. We’ll give you a detailed description of the game library below and dissect Legolas Bet’s rewards and casino gift bag. There are plenty of opportunities to win great prizes at Legolas Bet casino which is why you should give it a try. Signing up at Legolas Bet is simple. You’ll first need to enter your email and password as well as your phone number, location, and the currency you want to use. As soon as you get the confirmation link in your email, activate your profile and you’re in. Don’t worry about the safety of your private data – LegolasBet is a reliable provider licensed and regulated by the Malta Gaming Authority. Of course, the casino uses a state-of-the-art security system and SSL encryption that will keep your financial and private details safe from prying eyes. LegolasBet has a wide range of promotions and awards for its regulars and newcomers. The promotions are equally divided between the sports book and the casino section, so you get to pick the goodies that suit you best. 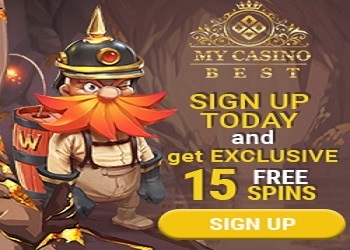 All new casino players at LegolasBet will get a nice welcome bonus after they make their first deposit. Make your first deposit and activate the bonus in the Available Bonuses section and you can earn up to €300 extra cash. It’s a great way to get your journey started, but LegolasBet has found a way to sweeten the pot even more. Come back to the casino the next day and you’ll get 150 free spins on the BerryBURST slot you can use to land big wins. The offer is available for all new players making their first deposit. To claim it, you’ll need to make a minimum deposit of €20 or more. The welcome bonus is a 150% deposit bonus up to €300 and is active for 30 days after registration. LegolasBet casino will shower you with rewards for your loyalty. Make a minimum deposit of €20 and play €250 in the casino between Tuesday and Thursday to qualify for the casino’s gift bag and unwrap a nice prize on Friday. To spoil things a bit, you can get free spins, reload bonuses, big free cash spins, live casino bonuses or a combination of them all. What Games are Available in LegolasBet Casino? LegolasBet casino’s game lobby is filled with exciting titles from two of the leading studios in the industry, NetEnt and iSoftBet. NetEnt’s slots need no introduction – they are among the best in the industry. Renowned for their graphics and innovative gameplay, titles such as Gonzo’s Quest and Starburst regularly top the best online slots charts. iSoftBet isn’t too far behind in the pecking order. Their games have a large base of fans thanks to exciting features and great gameplay. The casino isn’t limited to these two providers only. Using iSoftBet’s game aggregator, new providers are being added monthly, which means LegolasBet’s collection is constantly getting bigger and better. LegolasBet casino has organized all the games in its library in a neat way. You can choose between video slots, jackpots, table, and live dealer games. Fans of NetEnt will be pleased to learn there are nearly 150 slots from this provider’s catalog at LegolasBet casino. You get to play latest hit titles such as Vikings and Scudamore’s Super Stakes as well as a wide range of jackpots where life-changing prizes await. In the jackpot section, there’s a dozen of progressives including the popular Divine Fortune and Mega Fortune as well as Basic Instinct based on the major Hollywood hit. If you’re into iSoftBet’s slots, The Nutcracker, Pearl of the Orient, and Book of Immortals look like great choices. Rambo is one of the most impressive titles in iSoftBet’s catalog. Based on Sylvester Stallone’s latest installment in the long-running franchise, it packs not one, but four explosive jackpots. With 720 betways, chances to land a nice win are high. With hundreds of slots from top-rated providers in the library, you’ll surely find something that suits your wants and needs. Of course, all the games are properly licensed and regulated by an industry-standard RNG, so you can expect a fair and random outcome. Don’t miss the live casino. Running on the NetEnt Live platform, there are many blackjack and roulette variants you shouldn’t ignore. All the live dealer games come in glorious HD video quality and with advanced features you won’t get elsewhere. LegolasBet’s live casino is expected to add new live providers and games very soon. You can choose between Visa, MasterCard, bank transfer, Neteller, and Skrill to make deposits and withdrawals. It’s a bit disappointing to see such a short list, to be honest, but at least you get the essentials. The minimum deposit is €10 for all payment methods. You can deposit up to €40,000 which is great for high-rollers. When it comes to withdrawals, LegolasBet casino has raised the maximum limit all the way up to €30,000 per transaction for Visa which is pretty high. For Neteller and Skrill, the amount is lower at €10,000. You will get your winnings on Neteller and Skrill instantly while withdrawing with Visa will take 2-3 days. Even though the casino’s list of payment methods is super-short, the high limits and fast withdrawals make up for it. The Help section at LegolasBet is excellent. The customer support team is available round the clock to answer all the questions you might have. There’s also a great and simple FAQ page where you can get more information on how to play, deposit, withdraw, and similar topics. If you need to contact customer support, you can do so via email or live chat.